Like Voline, I think that the two great historical experiences of the French revolution and the Russian revolution are indissolubly linked. Despite the time differences, the differences in their contexts, and their differing “class content”, the issues they raise and the pitfalls they encountered are essentially the same. At best the first revolution displays them in a more embryonic state than the second. Also, men today cannot hope to discover the path leading to their definitive emancipation unless they can distinguish in these two experiences what was progress and what was backsliding, so that they can draw lessons for the future. The essential cause of the relative failure of history’s two greatest revolutions does not reside, as I see it, to borrow Voline’s words, either in “historical inevitability” nor in mere subjective “errors” by the revolutionary protagonists. 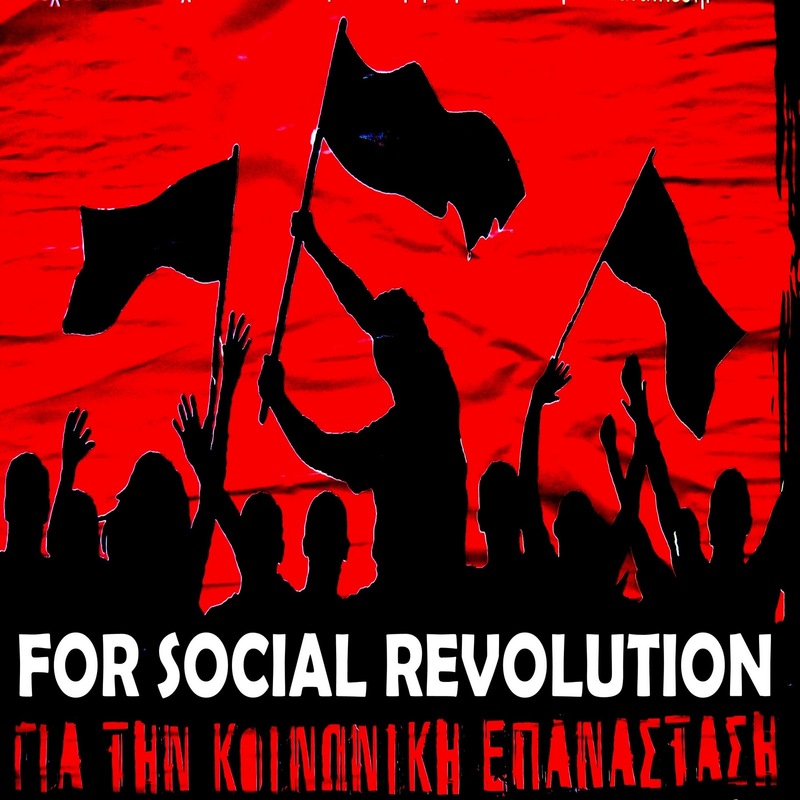 The Revolution carries within itself a grave contradiction (a contradiction which, happily, let it be said again, is not beyond remedy and lessens with the passage of time): it can only arise and it can only win if it springs from the depths of the popular masses and their irresistible spontaneous uprising. But, though class instinct impels them to break their chains, the masses of the people lack education and consciousness. And as they surge with redoubtable energy, but clumsily and blindly, towards freedom, bumping into privileged, astute, expert, organized and experienced social classes, they can only triumph over the resistance they encounter if they successfully acquire, in the heat of battle, the consciousness, expertise, organization and experience in which they are deficient. But the very act of forging the weapons just listed, which are the only ones that can ensure that they get the better of their adversary, carries with it an enormous danger: that it might kill the spontaneity which is the heart of the revolution, that it might compromise freedom inside the organization, or allow the movement to be taken over by a minority elite of more expert, more aware, more experienced militants who, to start with put themselves forward as guides, only to end up imposing themselves as leaders and subjecting the masses to some new form of man’s exploitation of his fellow men. Ever since socialism ever considered this problem and ever since it clearly perceived this contradiction, which is to say, since, roughly, the mid-19th century, it has not ceased weighing up the odds and hovering between the two extreme poles of freedom and order. Every one of its thinkers and actors has striven labouriously and tentatively, amid all sorts of hesitation and contradictions, to resolve this fundamental dilemma of the Revolution. Today a vast empire built under the aegis of “socialism” is seeking tiresomely and empirically and sometimes convulsively to escape from the iron yoke of an “order” founded upon constraint and rediscover the road to the freedom to which its millions of subjects, growing coarser and more alive to the fact, aspire. The problem thus remains posed acutely, and we have not yet heard the last of it. 1. In the period of revolutionary struggle, what should the proper ratio be between spontaneity and consciousness, between the masses and the leadership? 2. Once the old oppressive regime has been overthrown, what form of political or administrative organization should replace the one overthrown? 3. Finally, by whom and how should the economy be administered following the abolition of private property (a problem posed in full measure as far as the proletarian organization is concerned but which the French revolution faced only in embryonic form)? On each of these counts, the 19th century socialists hesitated and dithered, contradicted one another and clashed with one another. What socialists? a. the ones whom I would term the authoritarians, the statists, the centralists, the heirs — some of them to the Jacobin and Blanquist tradition of the French revolution — and others to the German (or, to be more precise, Prussian) tradition of military discipline and the State with a capital ‘S’. b. the ones I would term the anti-authoritarians, the libertarians, heirs, on the one hand, to the direct democracy of 1793 and the communalist, federalist idea: and, on the other, to Saint-Simonian apoliticalism aiming to replace political governance with the “administration of things”. c. finally, the so-called scientific socialists (Marx and Engels), striving labouriously and not always successfully or in a coherent way, and often for merely tactical reasons (for they had to make concessions to the authoritarian and libertarian wings of the workers movement alike), to reconcile the two afore-mentioned currents and come up with some compromise between the authoritarian idea and the libertarian one. Let us attempt to summarize briefly the attempts made by these three currents of socialist thinking to resolve the three fundamental problems of the Revolution. Authoritarians have no confidence in the masses’ ability to attain consciousness unaided, and, even when they claim otherwise, they have a panic-stricken terror of the masses. If they are to be credited, the masses are still brutalized by centuries of oppression. They are in need of guidance and direction. A tiny elite of leaders has to stand in for them, teach them a revolutionary strategy and lead them to victory. Libertarians, on the other hand, contend that the Revolution has to be the doing of the masses themselves, of their spontaneity and free initiative, their creative potential, as unsuspected as it is formidable. They caution against leaders who, in the name of higher consciousness, seek to overrule the masses so as to deny them the fruits of their victory later on. As for Marx and Engels, sometimes they place the accent on spontaneity and sometimes on consciousness. But their synthesis remains lame, unsure, contradictory. Moreover it ought to be pointed out that the libertarians too were not always free of the same afflictions. In Proudhon, alongside an optimistic paean to the “political capacity of the working classes”, one can find pessimistic strains casting doubt upon that capacity and lining up with the authoritarians in their suggestion that the masses ought to be directed from above. Likewise, Bakunin never quite managed to shake off the “48’er” conspiratorialism of his younger days and, right after he has honed in on the masses’ irresistible primal instinct, we find him advocating covert “penetration” of the latter by conscious leaders organized in secret societies. Hence this queer criss-crossing: the people whom he berated, not without good grounds perhaps, for their authoritarianism catch him red-handed in an act of authoritarian Macchiavellianism. The two competing tendencies within the First International took each other to task, each with good reason, for subterranean manoeuvres designed to capture control of the movement. As we shall see, we would have to wait for Rosa Luxemburg before a fairly viable modus vivendi between spontaneity and consciousness would be advanced. But Trotsky compromised this painstakingly struck equilibrium in order to take the contradiction to its extreme: in some respects he was “Luxemburgist”: as his 1905 and History of the Russian Revolution particularly testify, he had a feel and an instinct for revolution from below: he placed the accent upon the autonomous action of the masses; but he comes around in the end — after having argued brilliantly against them — to Lenin’s Blanquist notions of organization and, once in power, he came to behave in a manner even more authoritarian than his party leader. Finally, in the tough struggle from exile, he was to shelter behind a Lenin who had become unassailable in order to bring his indictment against Stalin: and this identification with Lenin was to deny him, until his dying day, the opportunity to give free rein to the Luxemburgist element within him. Authoritarians maintain that the popular masses, under the direction of their leaders, must replace the bourgeois State with their own State decked out with the description “proletarian” and that in order to ensure the survival of the latter, they must take the coercive methods employed by the former (centralization, discipline, hierarchy, police) to their extremes. This prospect drew cries of fear and horror from libertarians — a century and more ago. What, they asked, was the use of a Revolution that would make do with replacing one apparatus of oppression with another? Implacable foes of the State, any form of State, they looked to the proletarian revolution for the utter and final abolition of statist constraints. They aimed to replace the old oppressive State with the free federation of combined communes, direct democracy from the ground up. Marx and Engels sought a path between these two extremes. Jacobinism had left its mark on them, but contact with Proudhon around 1844 on the one hand, and the influence of Moses Hess on the other, the critique of Hegelianism, the discovery of “alienation” had left them a touch more libertarian. They repudiated the authoritarian statism of the Frenchman Louis Blanc and that of the German Lassalle, declaring their support for the abolition of the State. But in good time. The State, that “governmental hotchpotch”, is to endure after the Revolution, but for a time only. As soon as the material conditions making it dispensable have been achieved, it is to “wither away”. And, in the interim, steps must be taken to “lessen its more vexatious effects as much as possible”. This short term prospect rightly worries libertarians. Survival of the State, even “temporary” survival, has no validity in their eyes and they prophetically announced that, once reinstalled, this Leviathan will doggedly refuse to go quietly. The libertarians’ unremitting criticism left Marx and Engels in a bit of a pickle and they eventually made such concessions to these dissenters that at one point the quarrel among socialists over the State seemed to hinge upon nothing more and indeed to amount to nothing more than quibbling over words. This blithe agreement lasted no longer than a morning. But 20th century Bolshevism revealed that it was not simply a matter of semantics. Marx’s and Engels’s transitional State, became, in embryo under Lenin and much more under Lenin’s posterity, a many-headed hydra bluntly refusing to wither away. Finally, what form of ownership is to take the place of private capitalism? But the anti-authoritarians were not unanimous in formulating their counter-proposals. Stirner suggested a “free association” of “egoists”, which was too philosophical in its formulation and too unstable as well. 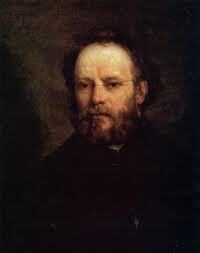 The more down to earth Proudhon suggested a somewhat backward-looking petit bourgeois combination appropriate to the outmoded-stage of small industry, petty commerce and artisan production: private-ownership would be safeguarded; the small producers, retaining their independence, would favour mutual aid; at best he would agree to collective ownership in a number of sectors, regarding which he conceded that large-scale industry had already taken them over: transport, mining, etc. But Stirner like Proudhon, each after his fashion, was leaving himself wide open to the sound birching which Marxism was about to inflict upon them, albeit somewhat unfairly. Bakunin made a point of parting company from Proudhon. For a time, he made common cause with Marx inside the First International against his mentor. He repudiated post- Proudhonian individualism and took notice of the consequences of industrialization. He whole-heartedly advocated collective ownership. He presented himself as being neither communist, nor mutualist, nor collectivist. Production had to be run at one and the same time locally, through a “solidarization of communes”, and in trade terms by the workers’ companies (or associations). Under the Bakuninists’ influence, the Basle congress of the First International in 1869 decided that in the society of the future, “government will be replaced by the councils of the trades bodies”. Marx and Engels shuttled and hovered between the two extremes. In the 1848 Communist Manifesto inspired by Louis Blanc, they had opted for the all too convenient pan-Statist solution. But later, under the influence of the 1871 Paris Commune and pressure from the anarchists, they were to temper this statism and spoke of the “self-government of producers”. But such libertarian nuances were short-lived. Almost immediately, in the struggle to the death which they waged against Bakunin and his disciples, they reverted to a more authoritarian and statist vocabulary. So it was not entirely without reason (although not always in complete good faith either) that Bakunin charged the Marxists with dreaming of concentrating the whole of industrial and agricultural production in the hands of the State. 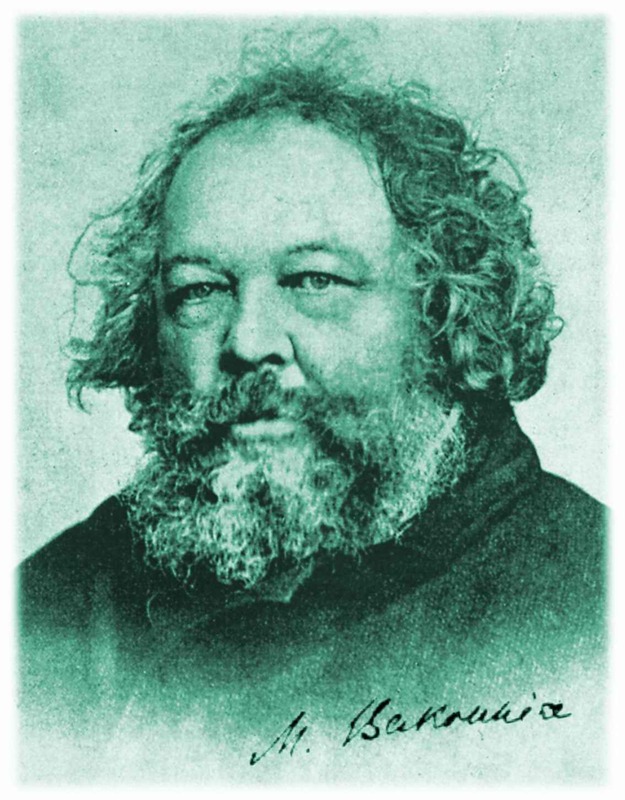 In Lenin’s case, statist and authoritarian trends, overriding an anarchism which they contradicted and extinguished, were present in germ, and under Stalin, as “quantity” became “quality”, they degenerated into an oppressive State capitalism which Bakunin appears to have anticipated in his occasionally unfair criticisms of Marx. This brief historical review is of no interest other than the extent to which it can help us to find our bearings in the present. The lessons we draw from it make us understand, startlingly and dramatically, that, despite many notions which today appear archaic and infantile and which experience has refuted (their “apoliticism”, say), the libertarians were in essence more correct than the authoritarians. The latter showered insults upon the former, dismissing their program as a “collection of ideas from beyond the grave”, or as reactionary, obsolete, moribund utopias. But today it turns out that, as Voline emphatically underscores, it is the authoritarian idea which, far from belonging to the future, is merely a hangover from the old, worn-out, moribund bourgeois world. If there is a utopia involved here, it is in fact the utopia of so-called State “communism”, the failure of which is so patently obvious that its own beneficiaries (concerned above all else with salvaging their interests as a privileged caste) are presently busily and blindly on the look out for some means to amend and break free from it. The future belongs neither to classical capitalism, nor, despite what the late Merleau-Ponty would have had us believe, to a capitalism overhauled and corrected by “neo-liberalism” or by social democratic reformism. The failure of both of those is every whit as resounding as that of State communism. The future belongs still, and more than ever, to socialism, and libertarian socialism at that. As Kropotkin prophetically announced in 1896, our age “will bear the imprint of the awakening of libertarian ideas… The next revolution is not going to be the Jacobin revolution anymore”. The three fundamental problems of revolution which we sketched earlier should and can be resolved at last. No more the dithering and groping of 19th century socialist thinking. The problems are now not posed in abstract terms, but in concrete ones. Today we can call upon an ample crop of practical experiences. The technique of revolution has been enriched beyond measure. The libertarian idea is no longer etched on the clouds but derives from the facts themselves, from the (even when repressed) deepest and most authentic aspirations of the popular masses. The problem of spontaneity and consciousness is much more easily resolved today than a century ago. The masses, though they are, as a consequence of the very oppression under which burden they are bent, somewhat out of touch as far as the bankruptcy of the capitalist system is concerned, and still lacking in education and political clear-sightedness, have regained much of the ground by which they lagged historically. Throughout the advanced capitalist countries, as well as in the developing countries and those subject to so-called State “communism”, they have made a prodigious leap forward. They are a lot less easy to dupe. They know the extent of their rights. Their grasp of the world and of their own fate has increased considerably. While the deficiencies of the French proletariat before 1840, in terms of its lack of experience and its numerical slightness, gave rise to Blanquism, those of the pre-1917 Russian proletariat to Leninism, and those of the new proletariat exhausted and in disarray after the civil war of 1918—1920, or recently uprooted from the countryside, engendered Stalinism, today the toiling masses have much less need to vest their powers in authoritarian and supposedly infallible tutors. Then again, thanks especially to Rosa Luxemburg, socialist thinking has been penetrated by the idea that even if the masses are not yet quite ripe, and even if the fusion of science and the working class envisioned by Lassalle has not yet been fully realized, the only way to combat this backwardness and remedy this shortcoming is to help the masses educate themselves in direct democracy directed from the bottom up: to imbue them with a feeling for their responsibilities — instead of maintaining in them, as State communism does (whether it be in power or in opposition), the age-old habits of passivity, submission and the inferiority complex bequeathed to them by a past of oppression. Even though such an apprenticeship may sometimes prove labourious, even if the rate of progress is sometimes slow, even if puts additional strain upon society, even it can only proceed at the cost of a degree of “disorder”, these difficulties, these delays, these added strains, these growing pains are infinitely less harmful than the phoney order, phoney dynamism, phoney “efficiency” of State communism, which reduces man to a cipher, murders popular initiative and ultimately brings the very idea of socialism into disrepute. As far as the problem of the State goes, the lesson of the Russian revolution is written on the wall for all to see. To eradicate the masses’ power right after the success of the revolution, as was done, rebuilding on the ruins of the old state machinery a new machinery of oppression even more refined than its predecessor, and to pass this off fraudulently as the “dictatorship of the proletariat”, and, in many instances, absorbing into the new system “expertise” from the late regime (and still imbued with the old Fuhrerprinzip) leads gradually to the emergence of a new privileged class that tends to regard its own survival as an end in itself and to perpetuate the State which assures that survival — such is the model it now behooves us not to imitate. Moreover, if we take literally the Marxist theory of the “withering away” of the State, those material circumstances which had given rise to and (according to Marxists) legitimized the reconstruction of a state apparatus ought to allow us today increasingly to dispense with the state, which is a meddlesome gendarme greedy for survival. Industrialization is proceeding by leaps and bounds the world over, albeit at different rates in different countries. The discovery of new, inexhaustible sources of energy is accelerating this process prodigiously. The totalitarian state engendered by poverty and deriving its justification from that is growing daily a little more superfluous. As far as the management of the economy goes, all experience, both in quintessentially capitalist countries like the United States and in the countries in thrall to “State communism”, demonstrates that, as far as broad segments of the economy at least are concerned, the future no longer lies with giant production units. The gigantism that once bedazzled both the late Yankee captains of industry and the communist Lenin is now a thing of the past: Too Big is the title of an American study of the damage which this blight has done to the US economy. For his part, Khrushchev, wily old boor, eventually realized, albeit belatedly and falteringly, the need for industrial decentralization. For a long time it was believed that the sacrosanct imperatives of planning required State management of the economy. Today we can see that planning from above, bureaucratic planning, is a frightful source of disorder and waste and that, as Merleau-Ponty says, “plan it does not.” Charles Bettelheim has shown us, in a book which was unduly conformist at the time when it was written, that it could operate efficiently only if directed from the bottom up and not from the top down, only if directions emanated from the lower echelons of production and were continually monitored by them — whereas in the USSR this supervision by the masses is startlingly absent. Without any doubt, the future belongs to autonomous management of undertakings by workers associations. What has yet to be clarified is the assuredly delicate mechanism by which these federate and the various interests are reconciled in an order which is free. 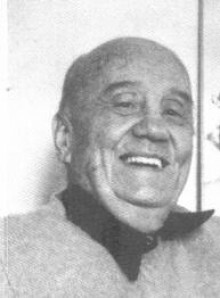 In the light of which, the attempt by the Belgian Cesar de Paepe, who is today unjustly forgotten, to work out a modus vivendi between anarchism and statism, deserves to be exhumed. Elsewhere, the very evolution of technology and of labour organization is opening up a route to socialism from below. The most recent research into the psychology of work has pointed to the conclusion that production is only truly “efficient” provided that it does not crush man and that it works with him instead of alienating him, and relies upon his initiative and whole-hearted co-operation, turning his toil from obligation into joy, something which cannot be fully achieved either in the industrial barracks of private capitalism or those of State capitalism. Moreover, the acceleration of transport is a singular boon to the operation of a direct democracy. To take but one example: thanks to the aeroplane, in a few hours the delegates from local branches of the most modern of the American labour unions (let us say, the automobile workers’ union) can readily be brought together. But if we wish to regenerate a socialism which has been stood on its head by the authoritarians, and get it the right way up again, we have to act quickly. 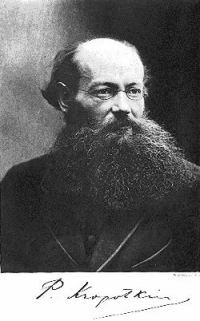 Back in 1896, Kropotkin was forcefully stressing that as long as socialism presented an authoritarian and statist face, it would inspire a measure of distrust in the workers and would, as a result, find its efforts compromised and its further development frustrated. Private capitalism, condemned by history, only survives today thanks to the arms race on the one hand, and the comparative failure of State communism on the other. We cannot ideologically rout Big Business and its supposed “free enterprise”, behind which lurks the rule of a handful of monopolies, and we cannot dispatch back to the prop room the nationalism and fascism which are ever ready to rise again from their ashes, unless we can in fact offer a hard and fast substitute for State pseudo-communism. As for the socialist countries (so-called), they will not emerge from their current impasse unless we help them, not to liquidate, but rather to rebuild their socialism from the foundations up. Khrushchev finally came to grief for having dithered so long between past and future. For all their good intentions and essays in de-Stalinization or loosening state controls, the Gomulkas, Titos and Dubceks run the risk of standing still or slipping from the tightrope where they balance unsteadily, and, in the long run, risk ruination, unless they acquire the daring and far-sightedness that would enable them to identify the essential features of a libertarian socialism. An impressive work which has provided a young and enquiring reader with much to digest about the nature and manipulation of revolution. My history study group will discuss , devour and debate much of this material and be better placed to understand the potential of revolutionary processes in the future.